Product Categories: TV Studio, Television Operating Center (TOC), Control Room, LED Video. 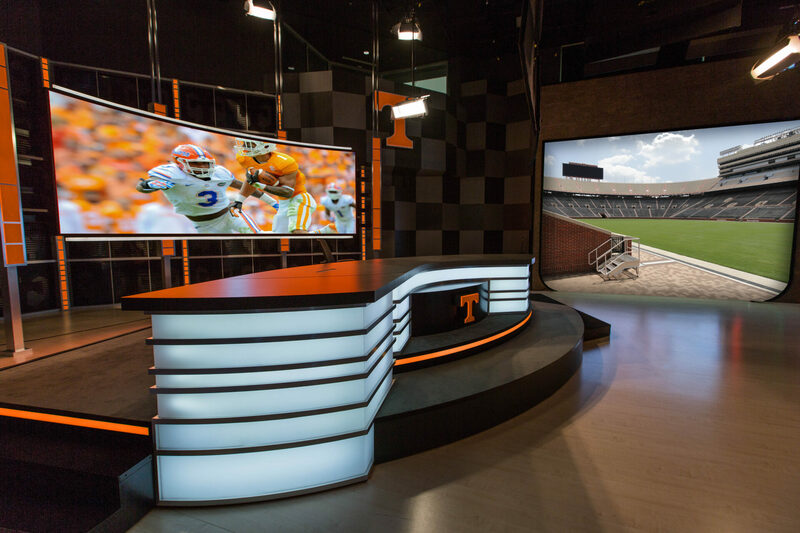 Anthony James Partners (AJP) is proud to have worked with the University of Tennessee to develop one of the most advanced production studio and technical operation centers in college sports. Equipped with a state-of-the-art control room, the Production Studio is centered around eight Ikegami HDK-95C series cameras, a Ross Acuity Production Switcher and BlackStorm Playout Video Server, a dual channel XPression CG and Graphics System with Inception Social Media Manager, Click Effects Cross Fire and Blaze Servers, and Evertz Dreamcatcher dual replay and routing systems. 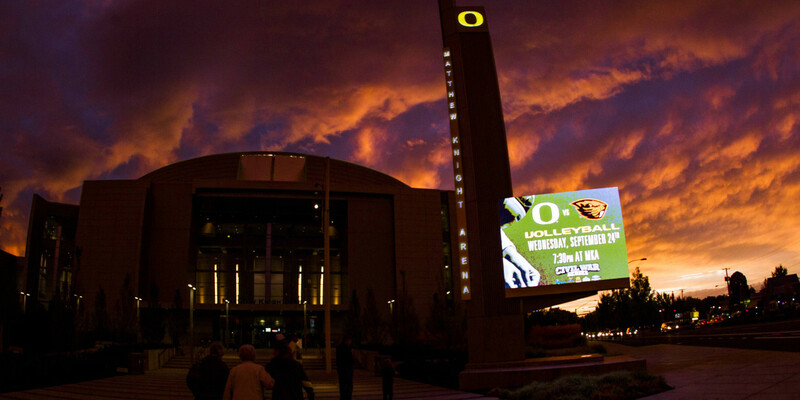 The studio serves as the production hub for all Neyland-Thompson Sports Center, Anderson Training Center and in-house programming. The North Studio features a giant concave LED screen situated behind a custom-built anchor desk. The North Studio is a full-production suite equipped with green screen and a mobile LED wall for B-roll programming, along with a teleprompter, Interruptible Fold Back (IFB), and a full lighting grid system powered by ECC. 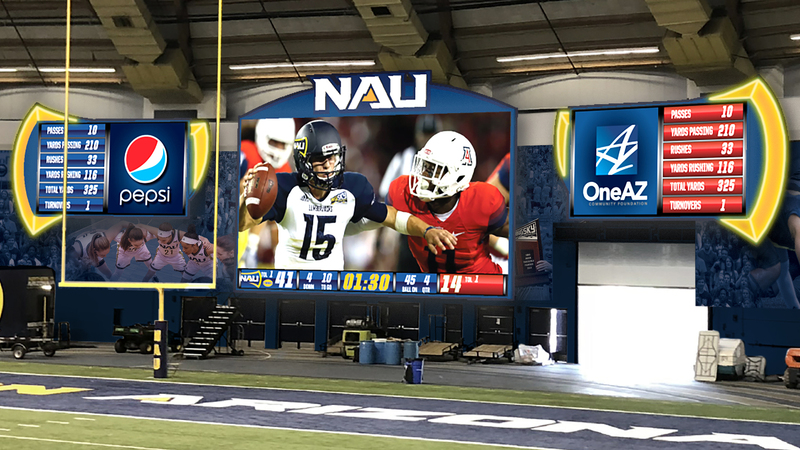 The South Studio is highlighted by a high-definition, 4mm LED wall, a portable anchor desk, and a Studio Locker Room Set to maximize in-house production ability. The Ray and Lucy Hand Digital Studio contains eight full-function Edit Suites integrated into the studio environment to create a seamless, tapeless workflow. 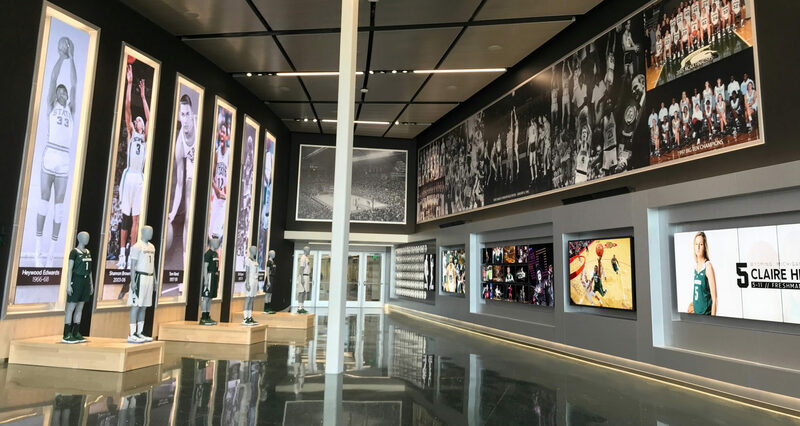 KNOXVILLE, Tenn. — It was called the melding of Times Square and Neyland Stadium at its dedication on Friday afternoon, and that’s exactly what the Ray and Lucy Hand Digital Studio was meant to be for the fans and student-athletes at the University of Tennessee. The studio, 18 months in the building, but decades in the making, shoots Tennessee to the forefront of on-campus studio space and video production. 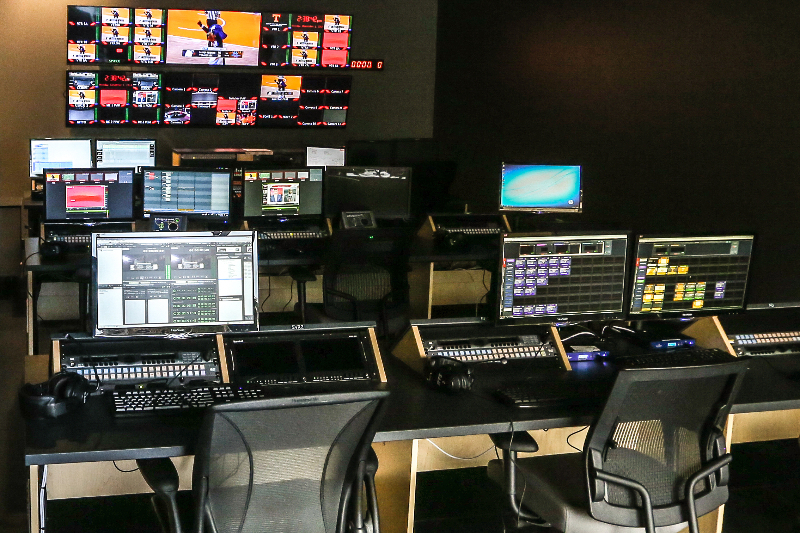 The digital studio is actually comprised of two large studio areas, one on the north side of the Neyland-Thompson Sports Center, the other on the south side of the Anderson Training Center. 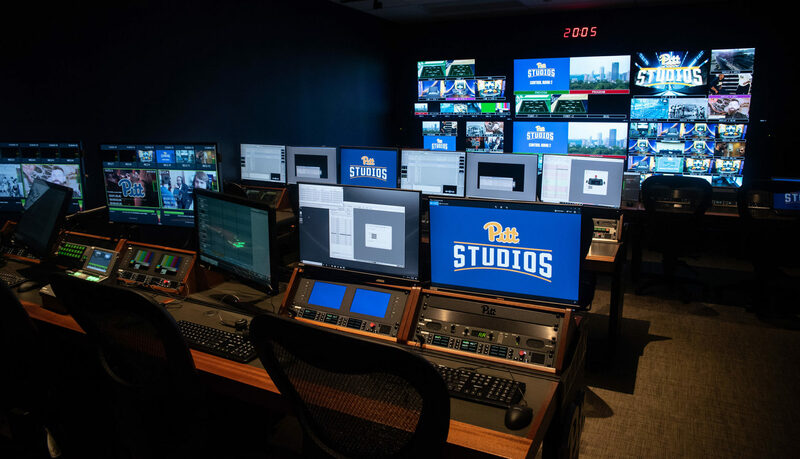 Both studios can be configured in multiple ways to produce a variety of programming for the SEC Network, the Vol Network and other in-house productions. 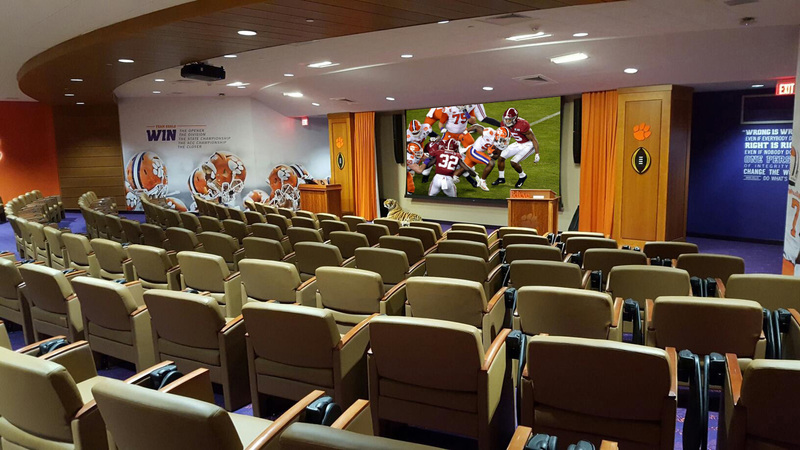 The control rooms in the facility will allow UT to produce multiple events simultaneously for the SEC Network and its on-line arm, SEC Network+, while also producing the in-house feeds for fans attending events. 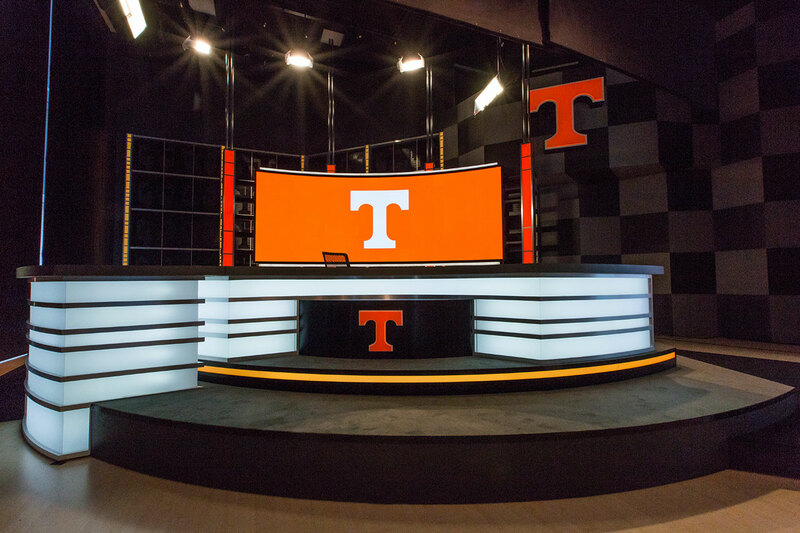 “This says that broadcasting, content creation and storytelling is a priority at the University of Tennessee,” said senior associate athletics director for external operations Chris Fuller, who led the planning and development of the studio space. The Times Square component comes from the giant video boards in each studio, which are visible to fans from the outside of both venues. 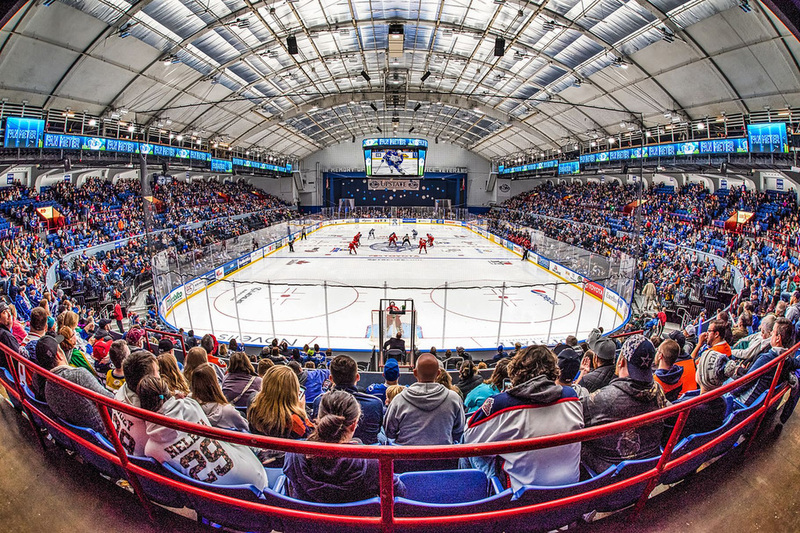 Via the large windows, reminiscent of those of New York TV studios, fans will also be able to watch events produced in the studios as well as athlete interviews conducted throughout the week. UT has long put a priority on high-quality video production to showcase the talents and tell the stories of its student-athletes and to train the next generation of on-air and behind-the-scenes television talent. Products of Tennessee program are now in a variety of positions at virtually every national network, sports and otherwise. 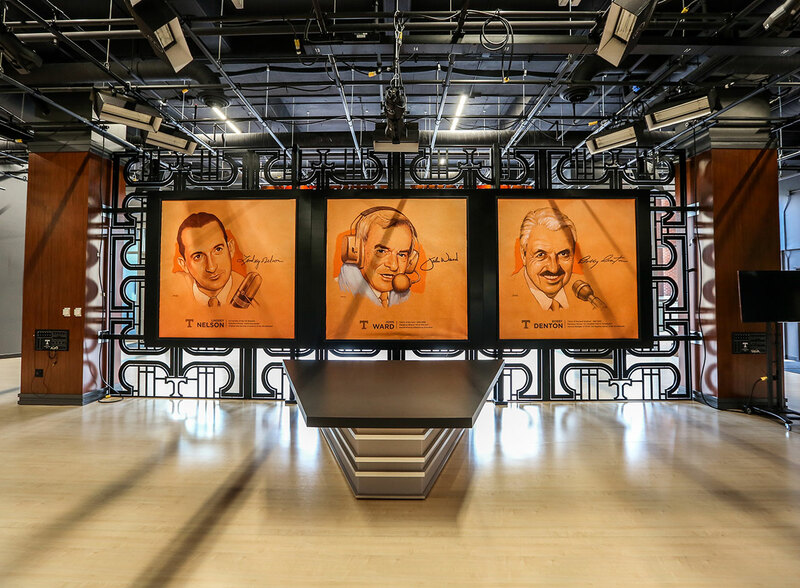 The opportunity to do something to benefit athletes in every sport at UT as well as general students with an interest in broadcasting is a big reason why Ray and Lucy Hand, made the gift that made the studio that bears their name. Two of the products of the UT broadcasting legacy, Link Hudson and Barry Rice have stayed here all along to lead UT’s program into the future. 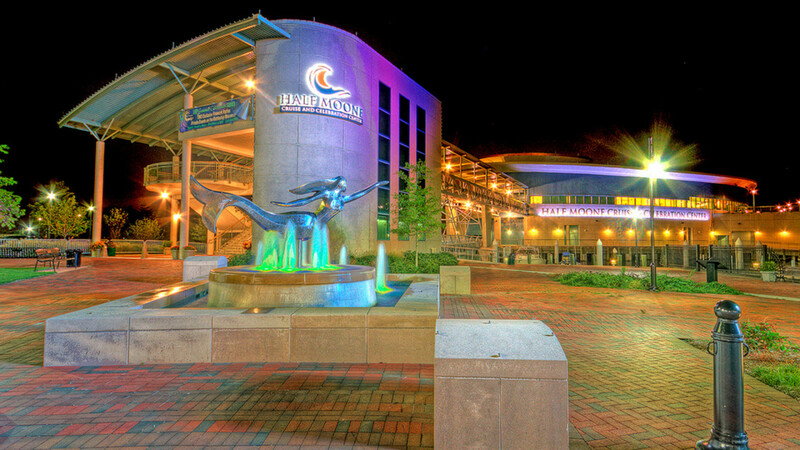 A future made brighter by the gleaming new production facility that they now oversee. Hudson, the senior director of broadcasting, said telling the story of Volunteer athletes has always been the focus, one that will only expand in the new facility. Now that the studio is dedicated, it’s time to put it to use, something they did not waste any time doing. Though the control room and the north studio have been utilized in the little less than a month since they came online, the first production following the dedication was Friday night’s Lady Vol basketball game. A game that was itself an example of the broadcasting legacy at Tennessee, called by three UT graduates, Bob Kesling, Brittany Jackson and Whitney Haworth.